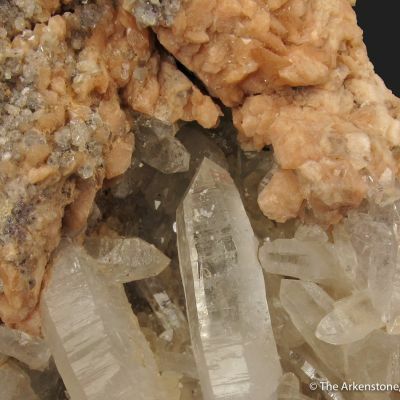 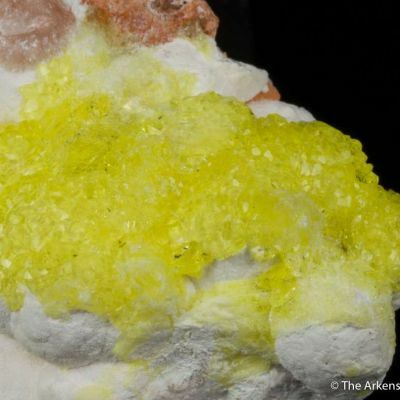 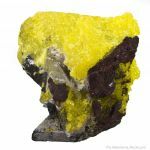 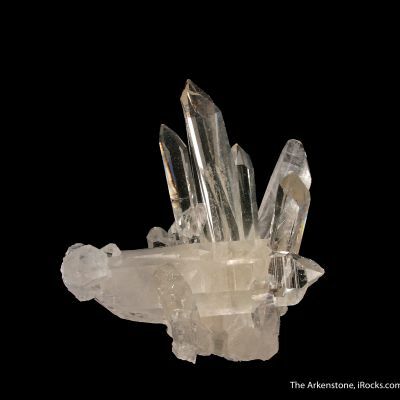 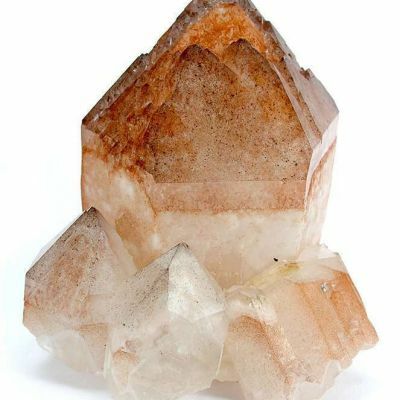 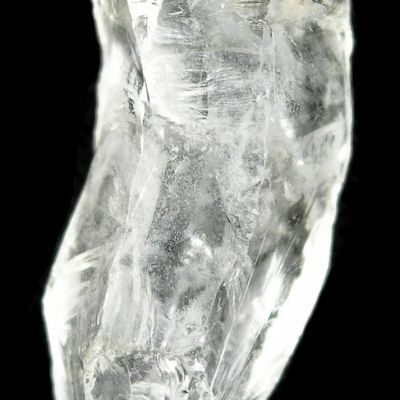 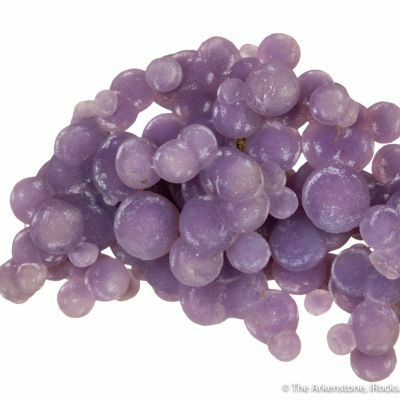 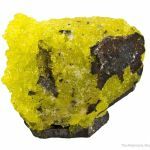 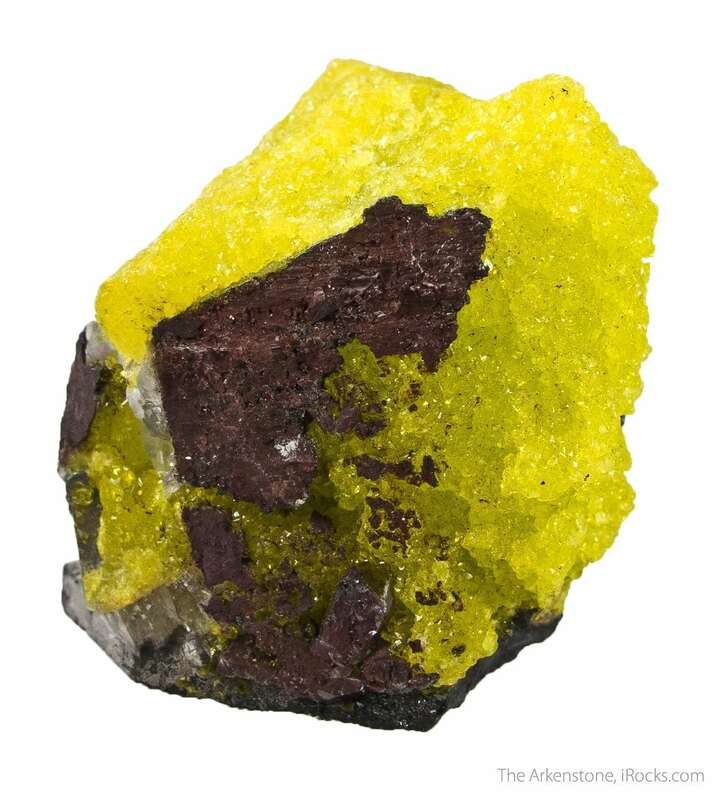 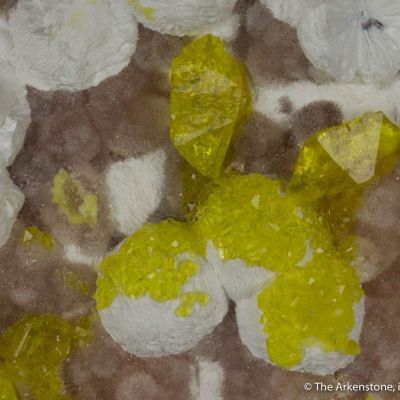 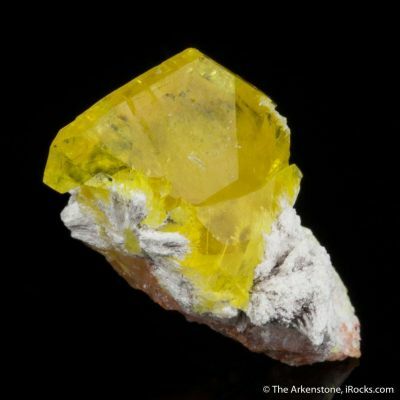 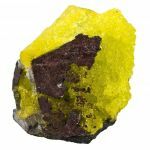 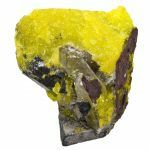 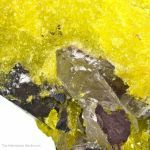 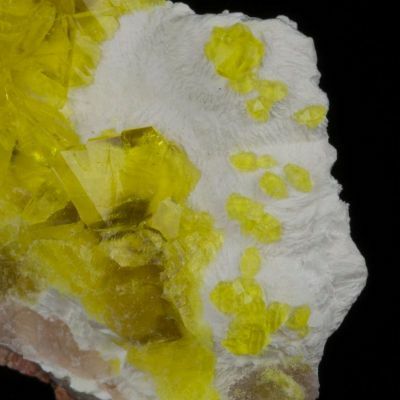 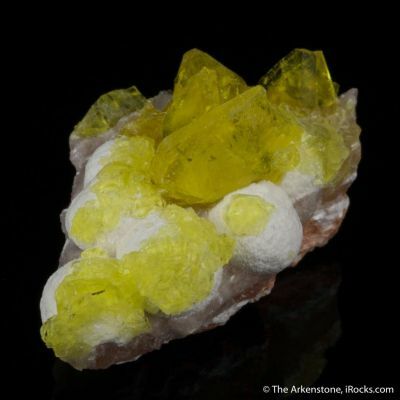 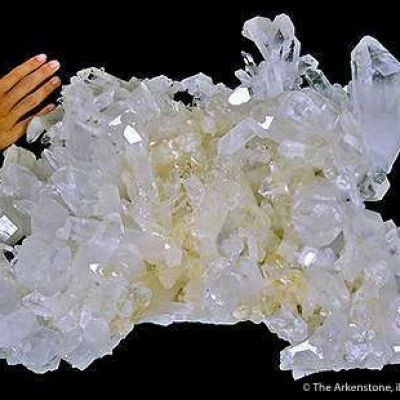 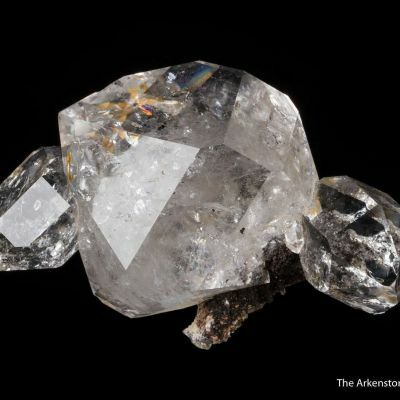 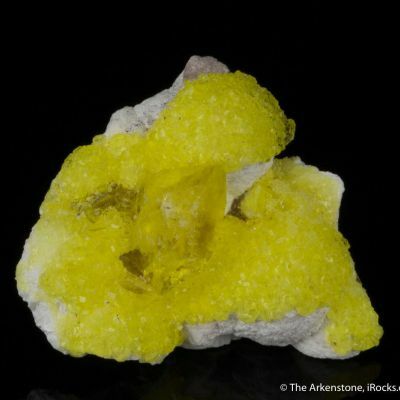 This gorgeous competition-quality rare miniature features a sparkling, very vivid, lemon yellow microcrystalline coating of jouravskite, a rare hydrated calcium manganese sulfate-carbonate, on a cluster of glassy to iron-stained quartz crystals. 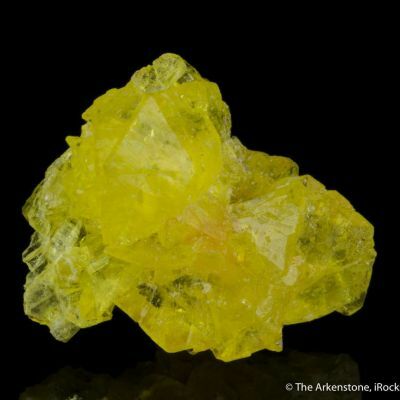 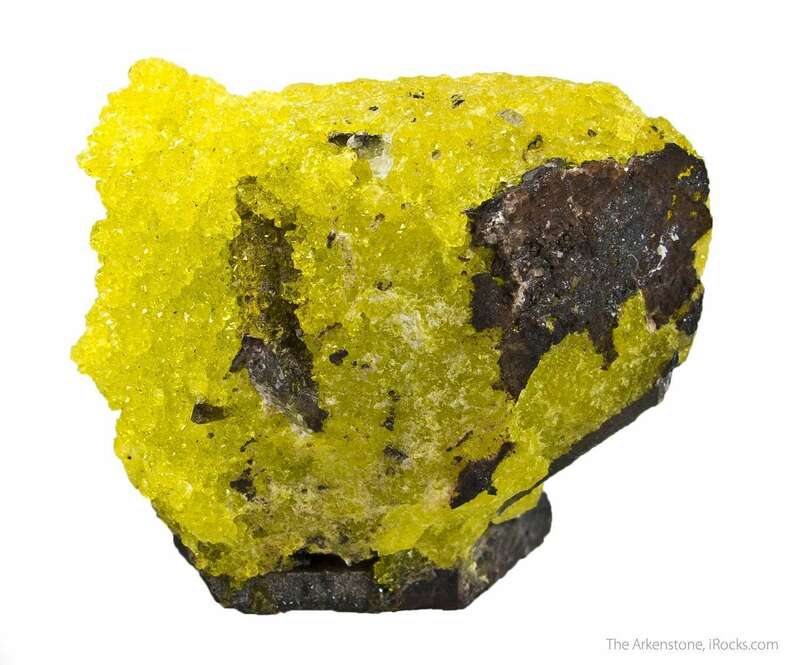 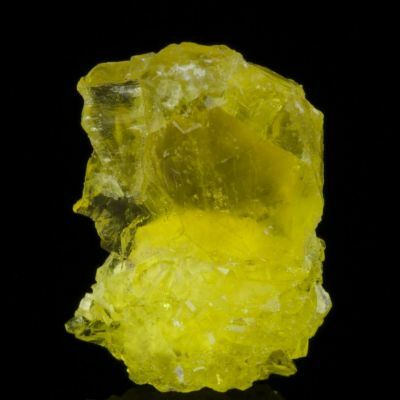 It glows with a color like a lemon peel from several orientations, as if it was made of sparkly sugar crystals. 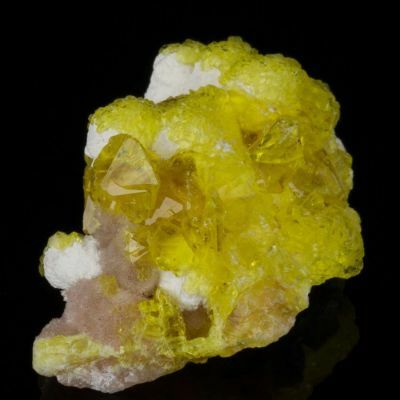 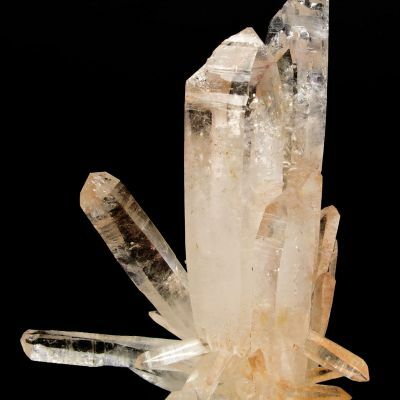 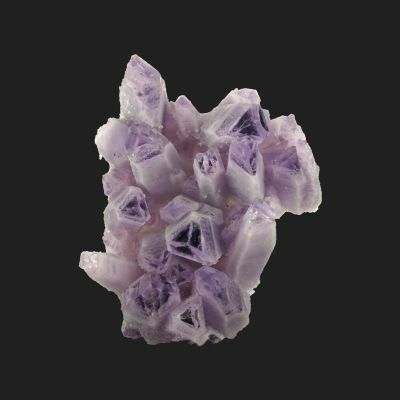 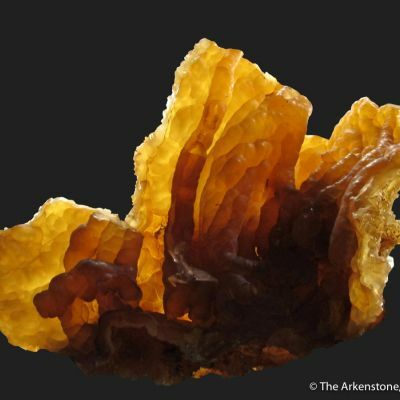 This piece hails from the N'Chwaning II mine in the Kalahari manganese fields of South Africa which produces the best of species for this mineral. 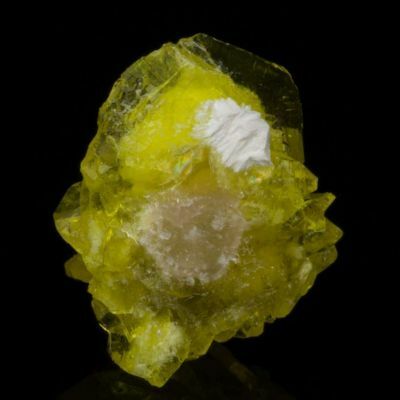 This was from the Charlie Key collection, that I purchased in around 2010.